Welcome to FESTIVAL DU BOIS 2019! The 30th annual Festival du Bois is slated for March 22 to 24 at Mackin Park in the Maillardville area of Coquitlam, the centre of francophone culture in BC – and you’re invited! 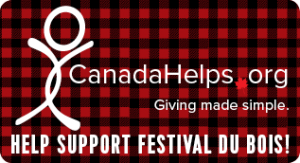 The festival opens on Friday night, March 22, with a Contra Dance in the Grand Chapiteau (Big Tent) in Mackin Park, with live music by The Sybaritic String Band. On Saturday and Sunday, March 23 and 24, the festival welcomes outstanding music artists from BC and beyond, including Vent du Nord, Bons Débarras, Les Chaufeurs à pieds, and more to be announced. Save money now by buying your tickets online! Expect to receive an emailed ticket bar-code that will allow you faster entry into the event. Note: Prices will be higher on the day of the event. 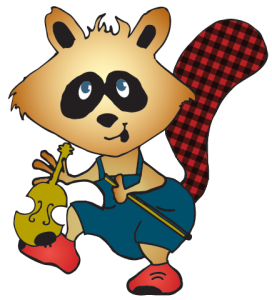 Starts on Friday, March 22 from 7 - 10pm for the Friday Night Contra Dance. Sunday Doors open at 10am for Pancake Breakfast on March 24; ends at 4:30pm. Note: Expect Family Passes to be $5 higher at the door. Single Person Ticket Prices will be $2 higher at the door. Pancake options ($5 or $10) will be made available only at the door on the morning of Mar 24th.